With snow falling and continue to fall in Minnesota, it definitely feels like it's hockey season. 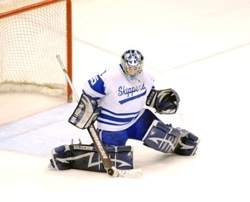 For Minnetonka alumnus Jimmy Kruger, however, his hockey season forecast reads 65 and sunny. Kruger is currently starting in net for the NAHL Texas Tornado and is off to a great start. To read the entire article, download the PDF file below.